Wasn't sure about this truck when it was first released, especially the stock wheels! 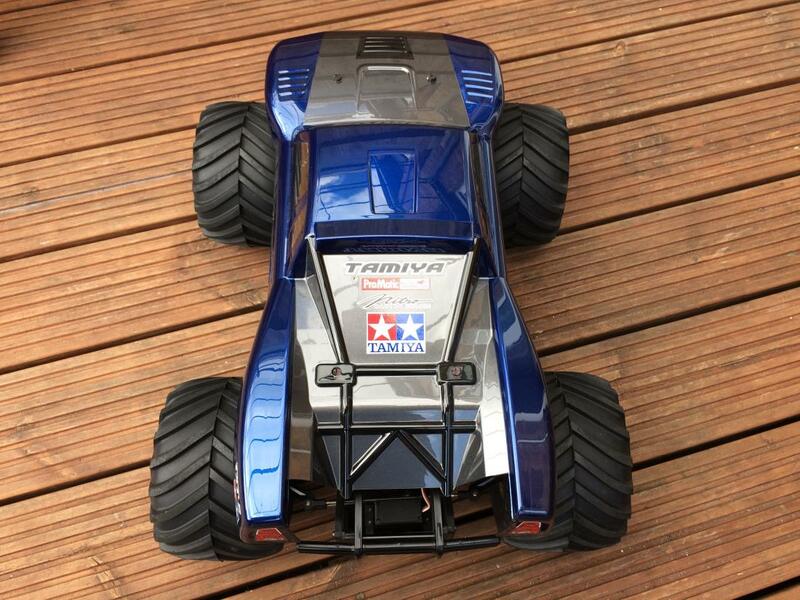 But after seeing a few with txt-1 wheels and good old clod tyres I was sold. It's pretty much stock except for wheel wideners and twin sport tuned motors. I use an evx-2 esc and 8.4v nimh. It's set up for 4-wheel steering selectable on the 3rd channel. It's pretty quick considering its size and weight, although I don't think I've got it up to full speed in the garden yet, needs a bit more space! Look great with other tires. Impressive what that can do. Missed out when prices were lower, so have to stick with my Clod for now. 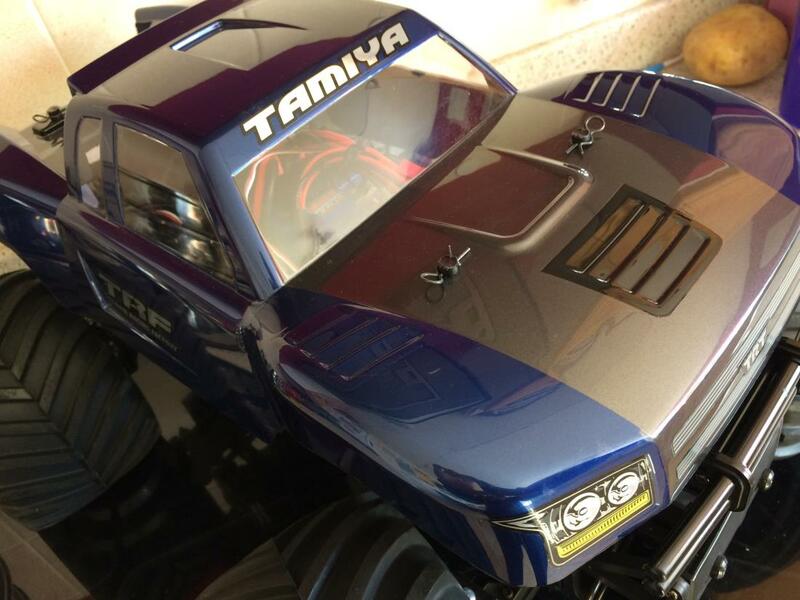 That body looks ace on the Clod chassis. That body looks ace on the Clod chassis. 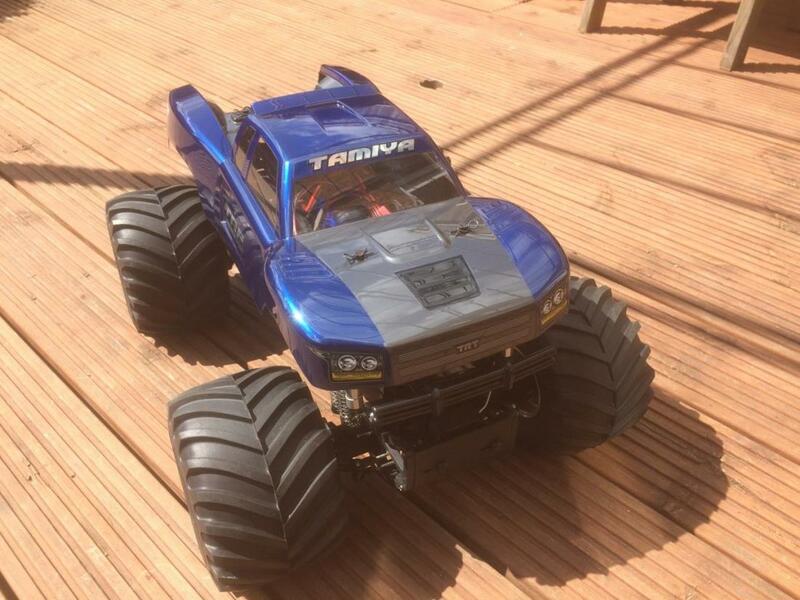 (Just realised its not a clod chassis) the wheels fooled me I'd love to see that in motion, let me know if you post a video of it. 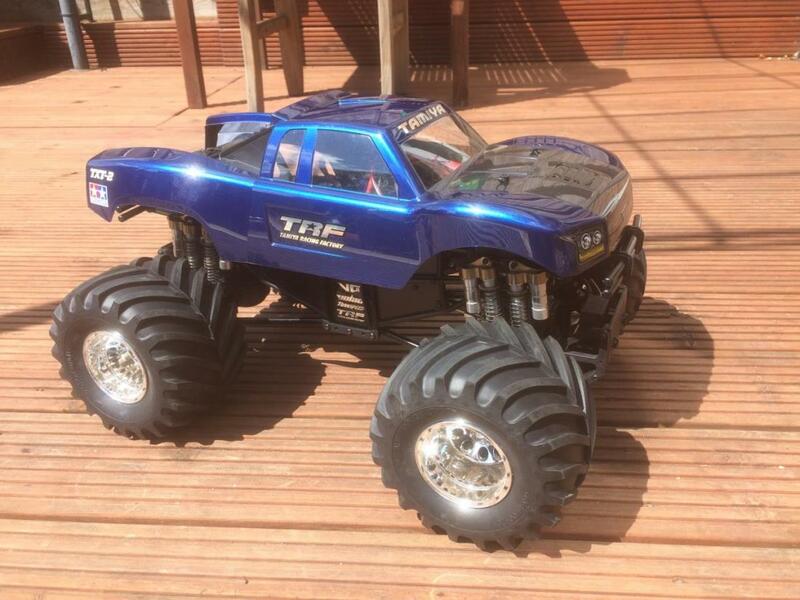 I am tryingto get a cheap TXT to do a bouncey monster truck myself at the moment. Thanks, hoping to do a couple of running videos soon, if I can persuade my wife to hold the camera! Nice work! Yep, the stock txt-2 shoes were a big disappointment so I agree that it needs the clod/txt-1 rims/tires to look the part of a proper MT and you prove that with your example.